The Essential Phone has been on sale in the US for some time now, but consumers could only get it in the Moon Black shade so far. However, the company has announced that the flagship handset is now available in Pure White in the US. While Essential has announced on its Facebook page that the Pure White Essential Phone is available through partners such as Amazon.com, Best Buy, and Sprint, none of them actually have the device is stock currently. 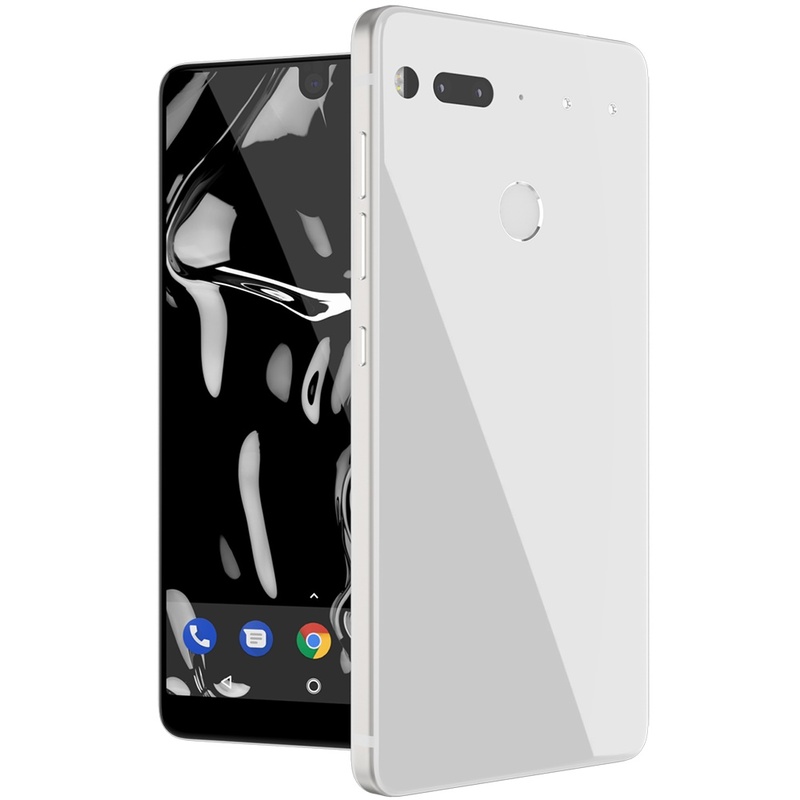 For now, you can get the Essential Phone in Pure White only from Essential. Amazon expects to begin shipping the Pure White variant in 1-2 months, while Best Buy has listed it as “coming soon”. Sprint, on the other hand, is yet to even add the Pure White variant on its website. The ‘Pure White’, like some other recent smartphones, comes with a black front. The rear, however, is completely white, and so are the sides. In the coming weeks, the Essential Phone is also expected to be available in Stellar Gray and Ocean Depths color options. So if both the Pure White and Moon Black colors do not impress you, you do have the option of waiting for the other two colors to be available. On the Essential website, you can pick the Pure White variant for $699, or you can opt for a finance plan where you will need to pay $33 per month for a period of 24 months. The Essential Phone PH-1 features a titanium body with a ceramic back and Corning Gorilla Glass 5 cover glass on the front. It features a 5.7-inch LTPS display with 500 nits max brightness and 1312 x 2560 Quad HD resolution. Like other 2017 flagships, Essential Phone is powered by an octa-core Qualcomm Snapdragon 835 chipset with Adreno 540 GPU. In terms of memory, the handset comes equipped with 4GB of LPDDR4X RAM and 128GB of UFS 2.1 storage. The rear camera setup comprises a 13MP RGB primary sensor and a 13MP Monochrome camera. For fast focus speeds, Essential is using a Hybrid Auto Focus tech combining Contrast, Phase detection and IR Laser Assist Focus. On the front, there is an 8MP resolution snapper with an f/2.2 aperture lens. Rest of the highlights include a 3040mAh battery with fast charging, USB Type-C port, IP54 rating for dust and water resistance, fingerprint sensor, and all the latest connectivity features. The smartphone currently runs on Android 7.1 Nougat OS, but an update to Android 8.0 Oreo is expected to be rolled out before the end of the year.